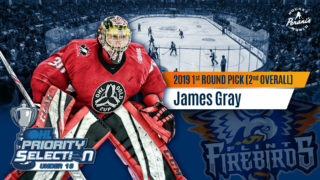 Flint, Mich. – The Flint Firebirds announced today that right-wing forward Jack Wismer, a second-round pick, 41st overall in the 2016 OHL Priority Selection, has committed to an Ontario Hockey League Standard Player Agreement and education package with the Firebirds. 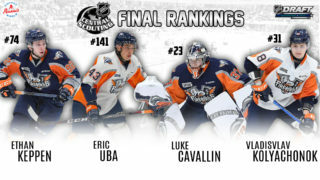 With the signing, Flint has now received a commitment from nine of their last top-10 draft picks, representing the top five drafted players in both of the previous two OHL Priority Selections. Wismer, a native of Stoney Creek, Ont., earned 51 points (19G, 32A) in 35 games during his minor midget year with the Hamilton Jr. Bulldogs in the South Central Triple A (SCTA) league. 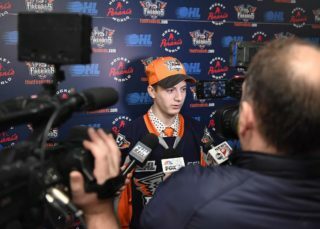 This season, the 6-foot, 187-pound right-winger averaged a point-a-game playing junior hockey with the Ancaster Avalanche in the Greater Ontario Junior Hockey League (GOJHL). Wismer tallied 17 points (5G, 12A) in 17 games in the regular season before notching six points in nine playoff games with the Avalanche. Jack was also one of 45 OHL players invited to Canada’s national under-17 development camp in Calgary, Alta. last summer. Season ticket packages for the Flint Firebirds 2017-18 season are on sale now and can be purchased at the Dort Federal Event Center Box Office, Monday through Friday from 9 a.m. to 5 p.m. (ET). Season ticket holders receive FREE parking this season. For ticket information, contact Kevin Mays, Director of Ticket Sales at (810) 201-6903 or kevin@flintfirebirds.com.